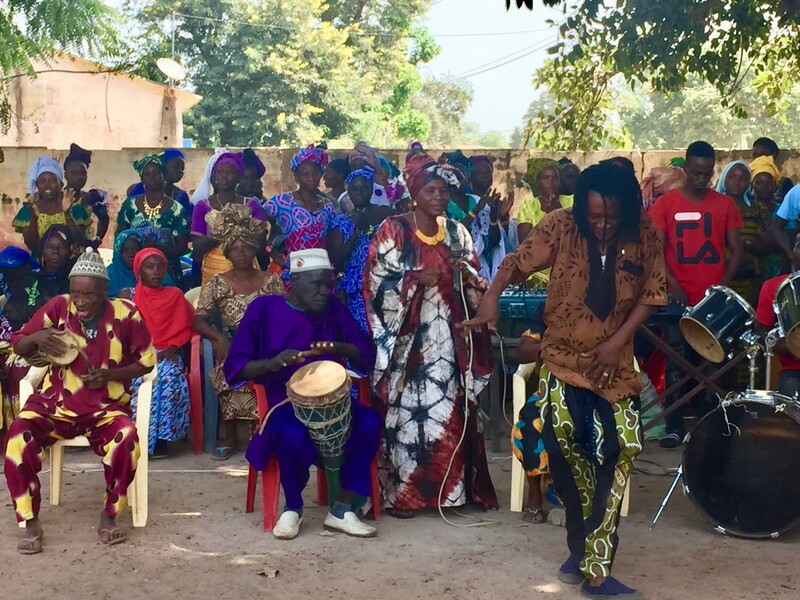 In late November 2018, Tostan Board Members, Kelly Baxter and Gail Kaneb, joined Tostan Founder and Creative Director, Molly Melching, on a visit to Medina Yoro Foulah in southern Senegal, to learn about Tostan’s new pilot project on governance and civic engagement and how it is accelerating community wellbeing. The following is an account of their experience. When we arrive in Medina Yoro Foulah we are led to the town meeting, where more than 200 men, women and children are eagerly awaiting our arrival in a large square in the centre of town, partly shaded by the branches of a huge tree. We are the guests of honour. We can feel the celebratory mood as we approach. We are greeted by music, drumming, and dancing and a powerful feeling of joy. The villagers are happy that we have come from so far to learn about their achievements. All the women and men crowd around to greet us in a sea of bright African fabrics — to touch us, shake hands, look into our eyes and welcome us to their community. The joy is infectious and we smile back and dance and clap along with the crowds. 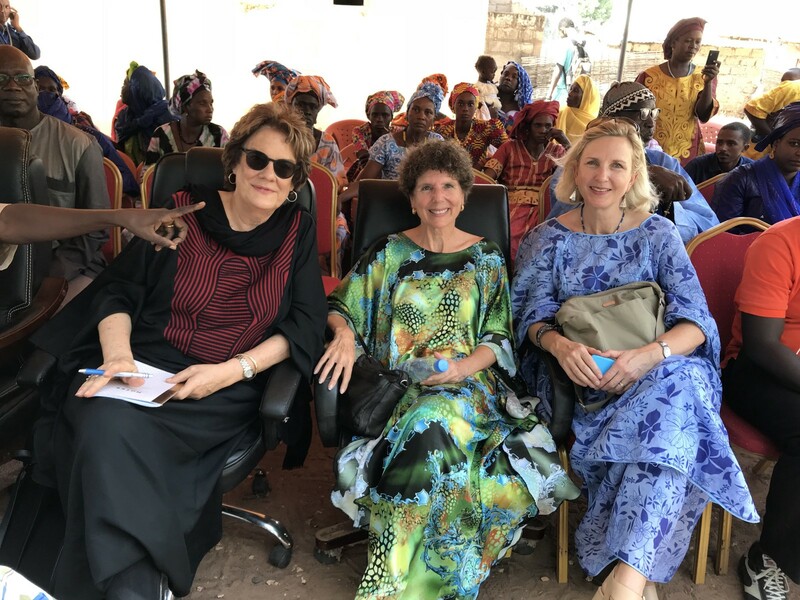 Gail Kaneb and I are with Tostan Founder Molly Melching to visit Medina Yoro Foulah, a Pular town in southern Senegal, where Tostan is piloting a training program for elected district councillors on good governance, based on transparency, accountability and participation. 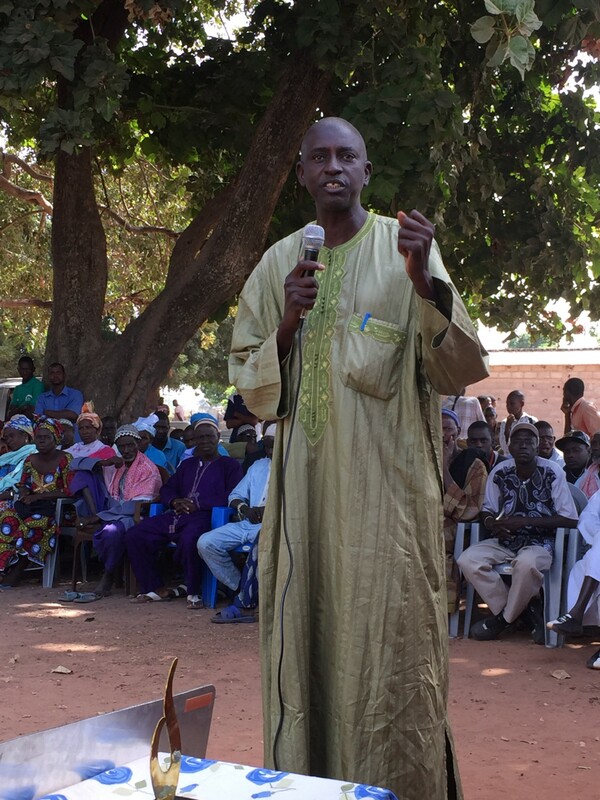 The Mayor of Medina Yoro Foulah, Khalidou Sy, and his elected council have created an award-winning model, and are achieving remarkable results leading to accelerated improvements in health, education and child protection, and a dramatic reduction in corruption. After the dancing and drumming finally subside, we settle in to listen to what our hosts want to tell us. For the next five hours we listen as person after person share their accomplishments, their priorities, their passion and their pride. Diare Camara, a young elected councillor, tells us that before the Tostan training program she did not know what her responsibilities were as a councillor. But, she tells us proudly, now she does. She knows how to represent the community, she knows the rights of women and how to advocate for them. And she is happy that the mayor is always available and willing to listen to her bring her village’s ideas forward. Before, she said, it used to be that the mayor made all the decisions. But now, Diare tells us, we understand that three things are required: the mayor, the council and the people. Mayor Khalidou Sy shares some of the accomplishments in the district, and explains how years of Tostan training in so many villages in the district has really helped to reduce violence and harmful practices against women and children, increase the empowerment and leadership of women, and improve the protection of and respect for the rights of children and women. There have also been positive developments in health, education and economic development. He is proud that with council’s support they have been able to build a new high school, a research centre offering computer and solar panel training, offer land for family farms, set up a waste collection system, and so much more. What impresses us is the leadership of the women, who speak with such passion and determination, shouting into the microphone to make sure everyone hears. They tell us how they are sharing what they have learned with other villages so that everyone can benefit. They tell us about how their microcredit projects — farming millet, rice and peanuts — are helping to bring new income to their families, and how a new health clinic is helping to treat many illnesses locally. They explain how the health committee on council raises awareness about the importance of prenatal consultations. Now women got to the clinic for regular check-ups during their pregnancies. And the men go with them. One woman explains how her children used to have to walk a long way every day to get to school but now more schools are being built at the neighbourhood level. There are 11 neighbourhoods in the district of Medina Yoro Foulah, and seven now have primary schools. The council’s priority is to build the remaining four as soon as possible. The female councillors tell us that before Tostan, they wouldn’t have spoken at a meeting. Now they all speak up, and feel comfortable talking to the mayor directly. All the councillors tell us that they understand their roles and responsibilities and how the budgeting process works. They tell us how they deliberate together to decide on the best ways to spend money in the district. They know what the laws are, what the property rights are, and what children’s rights and human rights are. They feel better prepared to represent their villages. We ask the men directly what they think of all this change. They all tell us that they like it. They understand that improvements in health and economic development are coming faster to their communities with the women’s participation and leadership. They are happy that their children are in school. And they know that they achieve more progress and make better decisions in their villages when they discuss things and work together. While all the speeches are inspiring, we are particularly moved to hear from the Children’s Council. With the support of UNICEF, the Children’s Council was put together as part of the pilot training program, to engage children in local governance, and ensure that they feel empowered to advocate to elected council and within the community for children’s rights and services. A group of 15 young teenagers proudly share with us some of their projects and ideas. What strikes us is not only their confidence in speaking in front of a crowd, but also their confidence in speaking up for their rights, which comes from the understanding and support of all the adults around them. It really does take a village. After five hours of speeches we are hot, tired and hungry but so inspired by what we’ve heard. We enjoy a Senegalese meal around a shared bowl at the mayor’s house afterward. Though modest and soft spoken, Khalidou is clearly proud of the high levels of civic engagement and the active role that the councillors are taking in achieving community priorities. He explains to us that development cannot happen if people don’t have understanding, so that they can be involved in leading their own projects. That is why we are having success, he tells us. And it is the women who are driving the changes. They are able to lead and manage the projects with the support of the men. The next day we visit the small village of Sare Demba, about half an hour away. This village experienced Tostan’s 3-year Community Empowerment Program about six years ago and has also been part of the recent governance pilot program that we were here to visit. It seems the entire village is waiting for us in a circle under the biggest tree. After dancing, shaking hands and being warmly welcomed by the villagers, the children sing a few songs of welcome for us. The village chief welcomes us and speaks proudly of the steps his village has recently taken to improve child protection. Then we hear from 16 village children who have formed a Children’s Council. Each child very solemnly introduces herself or himself to us and explains her/his role in the village. 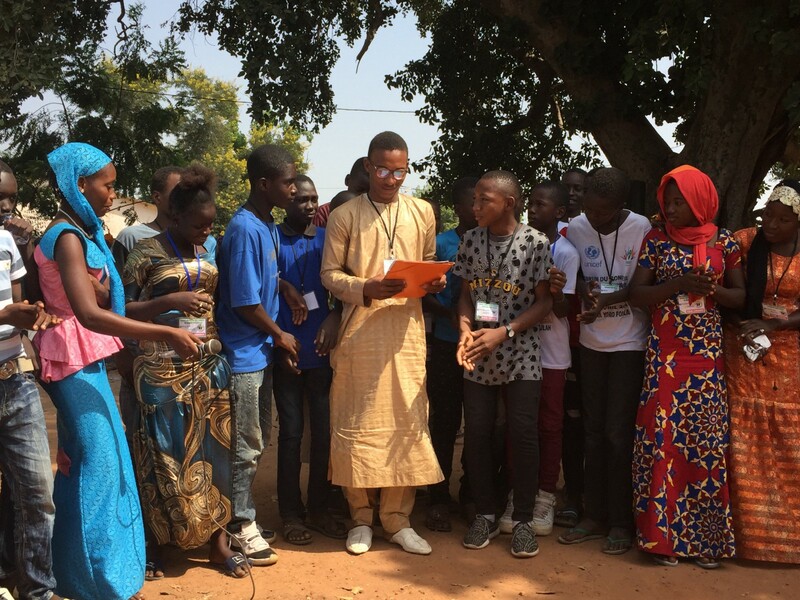 They are all nervous to speak publicly, but proud of what they are doing: Moussa and Fatimata are on the health committee; Mariama and Bie lead the environment committee; Boya is in charge of education; Ali coordinates children’s activities; Kande is the treasurer. 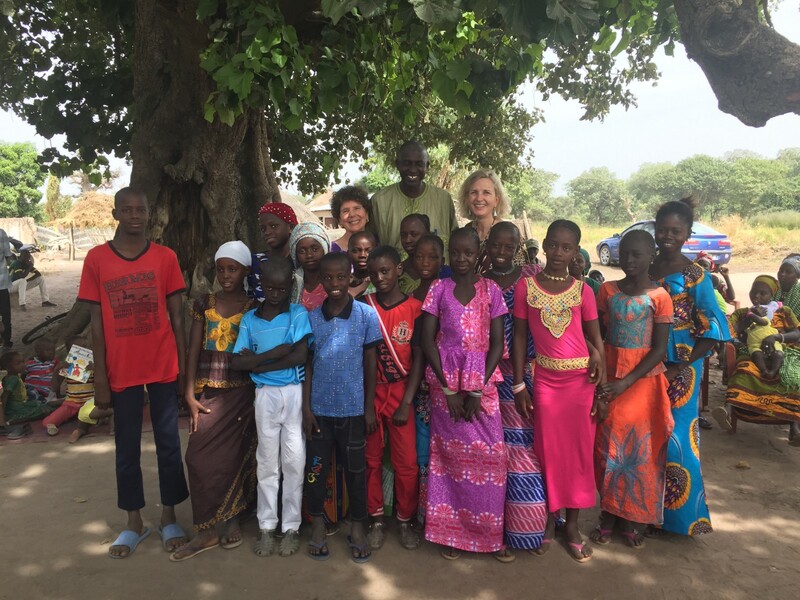 When we ask them what has changed, the children tell us that before the Tostan training, the adults wouldn’t listen to them, and the children wouldn’t dare speak up. They wouldn’t have even been invited to this meeting. We ask them, “when you ask adults to do something, how do they react?” And they children all tell us, “now they like it, they are proud of us and they support us.” If a child doesn’t go to school, Boya, who is in charge of education, will ask the family why, and take the child to school. If there is a problem, he will go see someone on the Community Management Committee. Mariama says if she sees adults littering, she will ask them to pick it up. The children tell us that no one hits them anymore. Relations between children and adults are better. Not only are the children better protected but there is much more respect. We also hear from the coordinator of the Community Management Committee in the village. She tells us that all children in Sare Demba are registered at birth, all children are vaccinated, and all children are at school. The community has also invested in health insurance for the community, so all children can go to the doctor if they are sick. 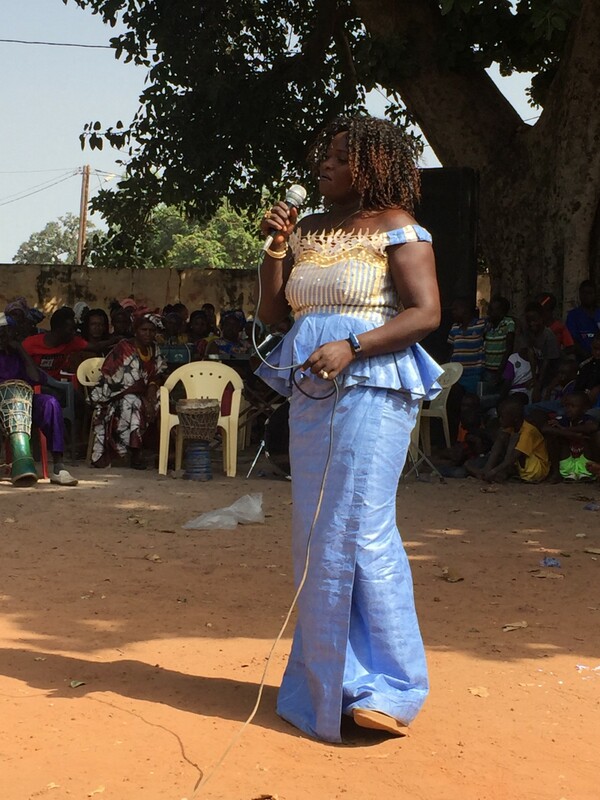 Djabou Juanjia, who was elected to represent her village on the Medina Yoro Foulah district council, explains that she now understands her roles and responsibilities, and is not afraid to speak up in council. She reminds us that before the training, women would not have had the courage to speak in public. Djabou also explains how the village has made improvements in hygiene. They keep their village clean and ensure proper hygiene practices such as hand washing. Everyone has a latrine. There is also greater understanding of the importance of prenatal care. Djabou also tells us that since the Tostan program, relations between men and women are better. There is no more beating in the village. As well, Sare Demba, along with their intermarrying network of villages, have all publicly abandoned female genital cutting and child marriage. The village’s social mobilization agent tells us about his role. He travels to other villages to share what they have learned about health, hygiene, children’s rights, and human rights. He also proudly shared with us a ledger where he tracks the village’s progress on 15 essential practices of health, hygiene and child protection — including prenatal visits, vaccinations, and good nutrition. In the afternoon we visited Koulinto, the main village for a different district and home to their district council. Koulinto has not been through the Tostan training program — neither our foundational 3-year Community Empowerment Program, nor the recent training for elected officials. The contrasts were striking. The women had been waiting for us outside the mayor’s office for many hours. But there was no celebration when we arrived. The women were quiet, looked down, and didn’t speak. We sat inside the mayor’s office around a board room table with about 5 men and 20 women. The assistant to the mayor, who spoke French, did most of the talking. What struck us was the lack of energy in that room. The women’s eyes looked defeated. There was no hope, no joy, no determination, no pride. The elected councillors — there were four — confirmed that they didn’t understand their roles and responsibilities on council. They met once a year to approve the budget but most of them could not read or write so they didn’t really know how to contribute. It was hard to get the women to speak, even though we had a translator. They clearly weren’t comfortable, and we had to ask the men to be quiet and let them speak. When they did speak they let us know how important it was to them to bring the Tostan program to their village. The difference between the village who had experienced the Tostan program and the village who had not was remarkable. The pride, purpose and agency in the first village was tangible. They have a shared vision for their village and a set of goals they are working towards. The women and youth feel empowered, respected and engaged in achieving that vision, and they feel encouraged that they can access resources at the district level to help them. There is a healthy relationship and open communication between the mayor, the elected district council and community management committees. The budgeting process is transparent, accountable and participatory. Although the region is extremely poor, and infrastructure is lacking, there is, nevertheless, a solid platform to build on. When people know their rights, have the respect of those around them, feel empowered to act, and have knowledge and skills to lead their own development, the foundation for further development has been set, and accelerated improvements to wellbeing and prosperity are entirely possible. 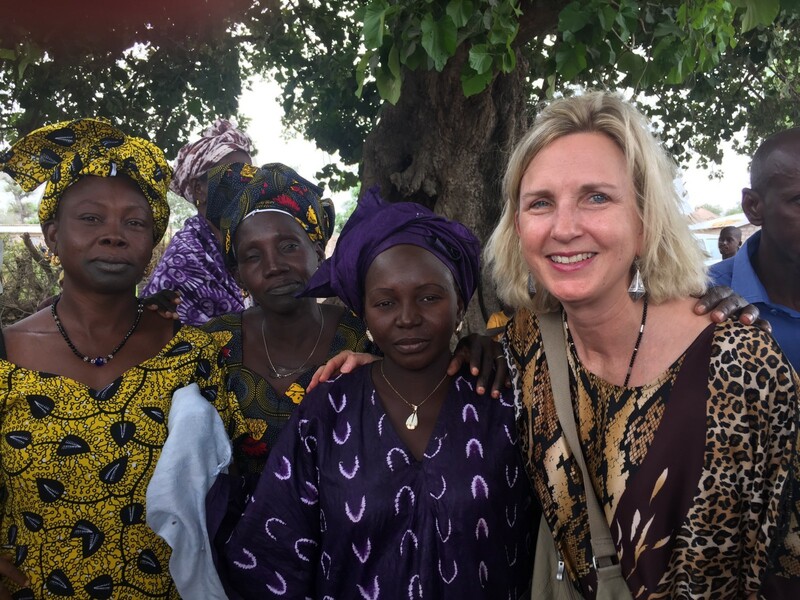 This new training program holds great promise as thousands of women from Tostan villages are getting elected as district councillors and mayors across West Africa. It will help them better understand their roles and responsibilities and be effective champions for their village priorities. This trip affirmed for us that at a time when so much of the world seems to be moving in the wrong direction, it is an extraordinary privilege to be part of something that is so successful. Tostan has already empowered millions of people to transform their lives and their communities and is now taking it to the next level by engaging local government in the growing movement for social change. To learn more about how to support this movement in 2018, visit http://tostancanada.org/get-involved/donate-now/ if you are from Canada and www.tostan.org/donate if you are outside of Canada. Originally published at medium.com on December 13, 2018. Tostan is an international non-profit working since 1991 to empower communities to fulfill their own visions of sustainable development, based in human rights. These are the stories of communities moving forward with agency, not aid.